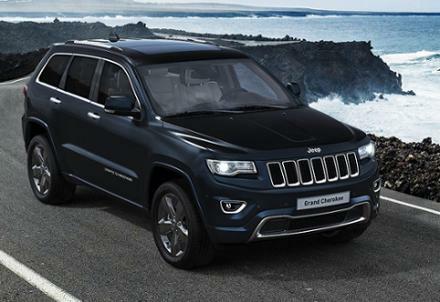 Browse and select from an extensive selection of sublime new Jeep Grand Cherokee cars right here at Motorparks. There is so much to admire about the Jeep Grand Cherokee, from the car’s phenomenal performance to its luxurious design and incredible attention to detail. Don’t just take our word for it - the Jeep Grand Cherokee currently holds the record of winning more awards over its lifetime than any other SUV in the motoring industry. See why critics have continued to praise the Jeep Grand Cherokee by requesting a test drive of the standout SUV online today. The drive will commence from our immaculate Jeep Oldham Motors dealership at a time that suits you. Remember that we have an exceptional collection of used Jeep Grand Cherokee cars for you to check out here at Motorparks too.